The brand had lost its edge. Bill Hoglund, a retired GM executive who led Pontiac during the (We Build Excitement) ad campaigns in the 1980s, blames the brand’s demise on a reorganization under CEO Roger Smith in 1984. That overhaul cut costs by combining Pontiac’s manufacturing, engineering and design operations with those of other GM brands. There was no passion for the product says Hoglund. The product had to fit what was going on in the corporate system. Although the moves were necessary to fend off competition from Japanese automakers with lower costs, they yielded Pontiacs that looked and drove like other GM cars. By 2008, the last full year before GM announced Pontiac’s shutdown, sales were 267,000, less than a third of those sold in 1968.Formed in 1926, Pontiac made cars for the working class until a sales slump in the 1950s nearly killed it. GM revived the brand by connecting it to auto racing. From then on, each Pontiac sales boom was driven by speed but generally featured outdated or boring rides.The brand’s most storied muscle car, the GTO, came about when some GM engineers took a small car called the Tempest and put a powerful V8 engine under the hood. The letters stood for Gran Turismo Omologato, Italian for ready to race. Sparked by the GTO, the Pontiac brand thrived, making up 17 percent of the 5.4 million cars and trucks GM sold in the U.S. in 1968. The GTO even spawned its own 1960s hit song. C’mon and turn it on, wind it up, blow it out GTO was the chorus of the tune by Ronny and the Daytonas.Pontiac’s decline stemmed from a lack of a consistent strategy or leadership. Executives rotated through every few years on their way up the corporate ladder, each with a different vision. Some even tried to make Pontiac a luxury brand. One strategy that eventually hurt the brand was rebadging: putting the guts of less powerful GM cars inside the skins of Pontiacs. Big economic shifts also damaged the brand. Two gas spikes in the 1970s steered Americans toward smaller cars with more fuel-efficient engines, areas dominated by Japanese automakers in the U.S. About two dozen unsold Pontiacs now linger at dealerships around the country, including a maroon G5 coupe that sits awkwardly in a no-man’s land between used cars and new models next to the showroom at Orr GM Superstore near Little Rock, Ark. The car, which is really just a poky Chevrolet Cobalt gussied up with a spoiler, fancy wheels and the red arrowhead Pontiac logo, has been on the lot for more than 700 days. Sales Manager Alex Valencia has knocked almost $7,000 off the sticker price, down to $16,585.Despite spells of success during the last 30 years, Pontiac never returned to its supercharged sales of the 1960s. A low point was the late 1990s, when Pontiac came up with Aztek, an attempt to merge campers with SUVs and win over young, outdoorsy Americans. The vehicle, which seemed more like a cross between a minivan and armored car, flopped.In the mid-2000s, GM tried to rekindle the brand with powerful sedans, such as the G8, which harkened back to the GTO. But dealers wanted a full model lineup, and GM gave them renamed Chevrolets, diluting Pontiac’s performance image, says Bob Lutz, GM’s former product guru who headed up the effort to reinvigorate Pontiac.Like Ford Mercury Division and Chrysler Plymouth Division, we lost three great pioneers in Automotive History. 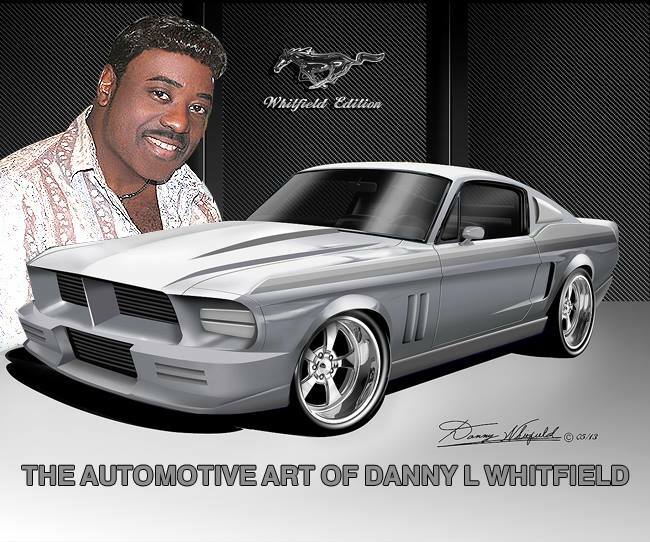 This entry was posted in Car Art - Automotive Art of Danny Whitfield and tagged amazing cars, art for sale, artist, artwork, automotive art, automotive transportation, Autos, bonneville, california hot rod culture, classic car, contemporary paintings, cool cars, custom car, Danny Whitfield, fine art, General Motors, grand prix, GTO, muscle car, mustang art, pontiac firebird, STARCHIEF, The Pontiac division may be gone but not forgotten.